Performax Labs unveils their revamped glucose disposal agent / nutrient partitioner SlinMax which improves glucose uptake, blood sugar levels, and lean mass gains. However, the world is not an ideal place, and neither is the human body. Unfortunately for the majority of us, our bodies will store carbs dispersed across both muscle and fat leaving us in a quandary. While we need the carbs for performance and gains, we don’t want the soft squish that comes with them. Don’t despair though, Performax Labs has created the ideal nutrient partitioner in SlinMax that will shuttle all the crucial macronutrients needed for growtha to the right places. Whereas many nutrient partitioning supplements are marketed for dieters, the real glory starts when you take a product like this with large amounts of carbs on your bulking cycles. If you find yourself in the carb quandary described above when you’re bulking up, then you need to look at SlinMax. Note: SlinMax was reformulated in October 2017, so you may have to check the stores above to get the label you want (both are fantastic). You can also compare against what’s at PerformaxLabs.com. 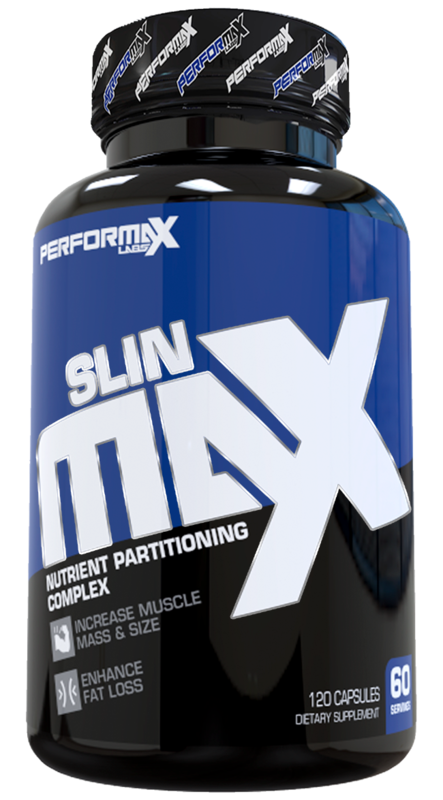 Performax uses a completely open label with SlinMax, which we’re always big fans of. The two complexes contained in SlinMax will ensure maximum amino acid uptake and reduced fat uptake, as well as ridiculous pumps when timed up right with your workouts and carbs! The new version of SlinMax has kept all the same ingredients from its predecessor and ADDED two more in cinnamon and chromium for even greater blood sugar regulation! Notable changes to the newest version of SlinMax include the addition of cinnamon and chromium picolinate. Alpha Lipoic Acid (ALA) is a fatty acid that exists in the mitochondrion of each cell in your body and is heavily involved in energy production. Na-R-ALA is a salt form of ALA that vastly improves the bioavailability and absorption of the fatty acid. Note that the Na-R-ALA is the more expensive stuff, which means it’s less frequently used in supplements like this. But it’s the potent version, and that’s why its here. 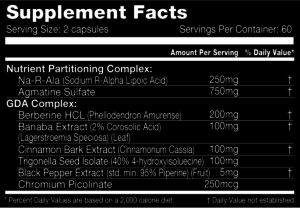 This alone is a supplement worth trying, but we’ve only just begun. Many think of Agmatine as a powerful pump inducer in the body due to its abilities to positively affect nitric oxide levels. However, this potent neurotransmitter also acts as a very strong nutrient partitioner. Agmatine improves glucose uptake and insulin sensitivity of skeletal muscles.and glucose uptake in skeletal muscle tissue. Agmatine stimulates the release of beta-endorphin (β-endorphin) that helps move glucose out of the bloodstream and into muscle tissue. [4,5] This helps not only reduce blood sugar and improve nutrient absorption, but also improves the shape and fullness of your muscles! Of course, we’re not going to ignore everything else agmatine can do. If you take this before a heavy carb-containing pre-workout meal (see the dosage section below), the agmatine is also going to lead to those insane pumps that we all love. Berberine is an alkaloid compound extracted from a number of different plants used traditionally in Chinese Medicine. Typically, berberine is used for its anti-inflammatory and cholesterol lowering effects. This is one of the most underrated herbs out there. The studies cited above are just the tip of the iceberg – it’s one of those extracts that has genuine medical benefits – but for now, just get excited that you’re going to be sending a lot of sugar to your muscles with it. There’s one caveat with berberine: anecdotally, you have to work out hard if you want the full effects of this. This isn’t going to work if you’re just walking on the treadmill – you need to help drive the muscles into attack mode so that they can get after the glucose involved here. We also discuss this (and SlinMax) in greater detail in our new muscle building supplements of the next generation article. Banaba, a.k.a. Lagerstroemia, is a plant widely used for its anti-diabetic benefits, and frequently paired with berberine above. The leaves of Banaba are rich in corosolic acid which is thought to be the primary compound responsible for the improvement in glucose control. Bakers and chefs are quite familiar with the pungent spice. Cinnamon is wonderful to sprinkle over oatmeal, mixed into coffee, or as part of any cookie, cake, or dessert recipe. But, it’s also a great inclusion in any blood sugar regulating supplement too! Cinnamon has been documented in various studies to lower blood glucose, reduce body fat, and boost lean muscle mass! How’s that for a fat-fighting spice?! 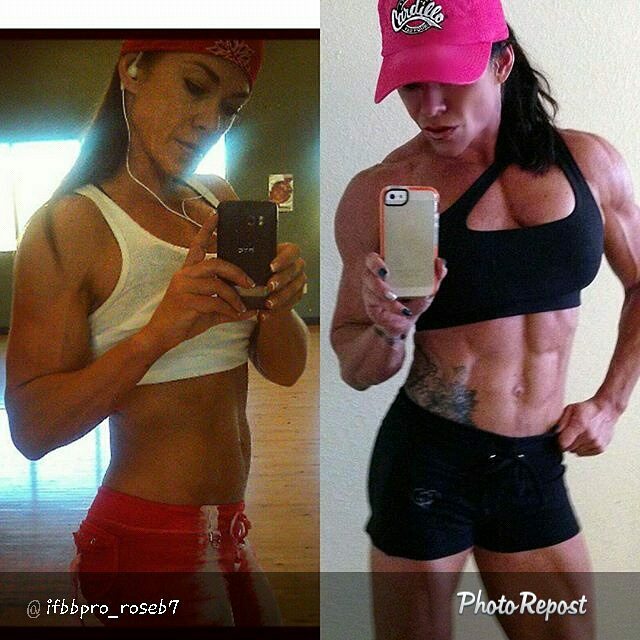 Taking SlinMax can help you get the chiseled abs you’ve always wanted, just like Performax Sponsored Athlete Rose. Trigonella Seed Isolate comes from Fenugreek, a plant often used in testosterone boosters as a libido enhancer. However, Trigonella Seed is rich in a compound called 4-hydroxyisoleucine that improves glucose metabolism in the body. Both of these actions help to ensure your body makes the most of all the ingredients contained in SlinMax. 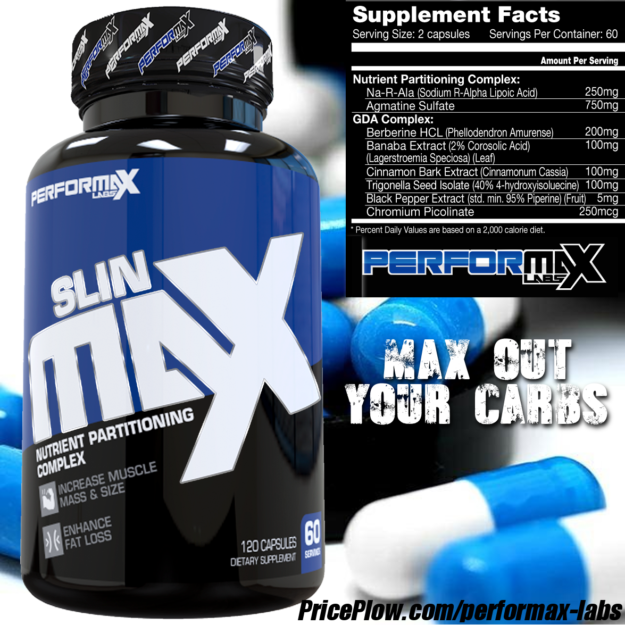 Take SlinMax with AT LEAST 60-100g of carbs, then eat away and never fear carbs again! 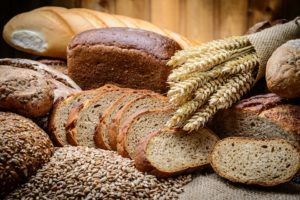 Many people think nutrient partitioners should only be used on a bulk, since that’s most often when people are consuming high amounts of carbs. However, SlinMax can be used for both bulking and cutting. When bulking, Performax recommends consuming 2 capsules twice per day, 10-15 minutes before a large carbohydrate containing meal (50-100g carbs). For most excellent results, one of those carb-containing meals should be sometime pre workout. For cutting, Performax suggests consuming 1 capsules 2-4 times per day before a carb meal containing at least 25g carbs, which helps reduce bloating, improve digestion, and shuttle glucose away from fat cells. Do NOT ignore these instructions! If you take this on an empty stomach (or with no carbs inside you), you can go hypoglycemic — your blood sugar will drop too low — and you may get dizzy or feel faint. This is one of those situations where you should err on the side of caution, and use more carbs than you would otherwise think at first. The pumps and strength in your next workout will be spectacular anyway. Also, use a food scale and look up the nutrient data of your cooked food. 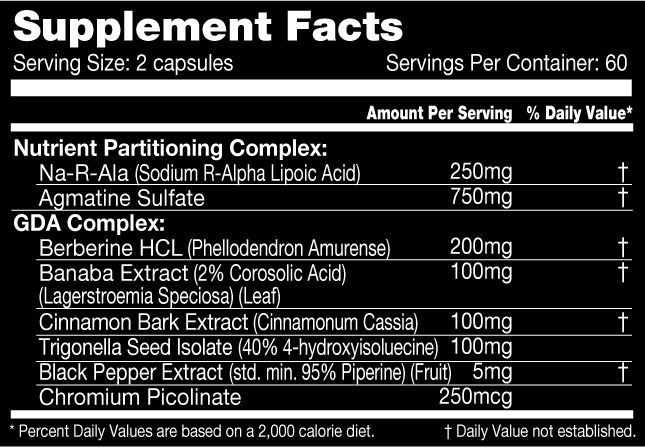 Make no mistake – this is an advanced supplement. For instance, if you’re using this in your pre workout carb meal, it will take some experience and refining to time it up for total perfection. 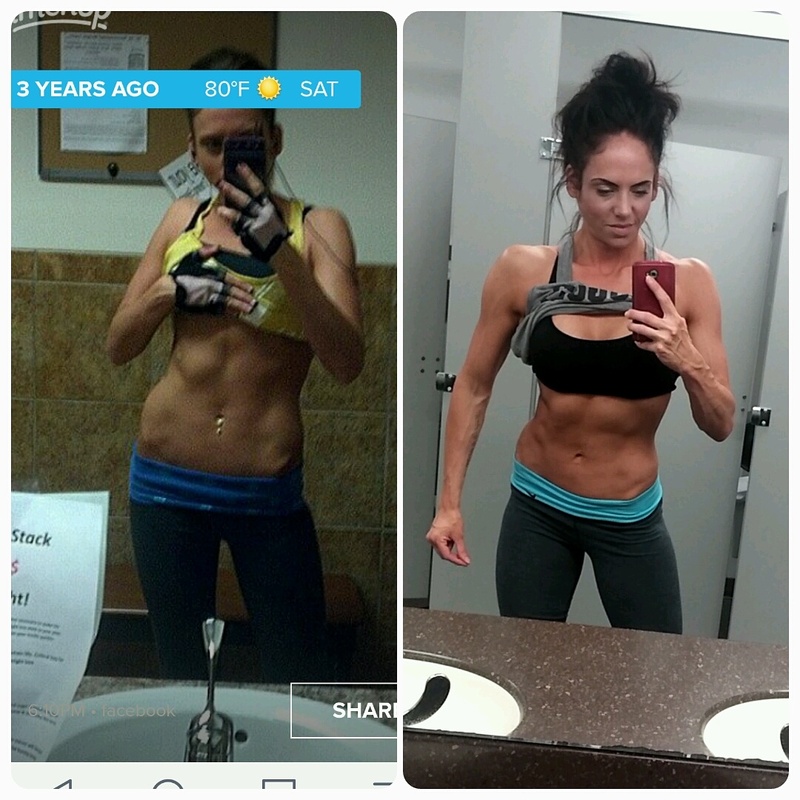 You should know your body and your carb game. And when you do, SlinMax is how you bring it to beast mode levels. Click the image to see all of Performax Labs’ potent products. This is an aggressive brand, and that’s why we love them. If you’ve tried doing the traditional bulk and cut in the past, and just ended up in the exact same spot you started, you’re not alone. Unfortunately, the majority of us don’t have the natural genetics of the elite bodybuilders and physique models. SlinMax tilts the odds in your favor and enhances the way your body utilizes all nutrients, not just carbs. The softness will be gone and what you’ll be rewarded with is fuller muscles, better vascularity, and improved fat loss. Make sure to sign up below and check the best deal on where to the SlinMax and all other Performax Labs products. Max Out Your Carbs with SlinMax! No Comments | Posted in New Products, Supplement News | Tagged Agmatine Sulfate, Alpha Lipoic Acid, AMPK, Banaba Leaf, Berberine, Black Pepper Extract, Build Muscle, Carbohydrates, Chromium, Cinnamon, Fenugreek, Glucose Disposal Agents, Muscle Builders, Na-R-ALA, Performax Labs, Pre Workout, Pre Workout Supplements, Stimulant-Free Fat Burners, Stimulant-Free Pre Workout Supplements, Trigonella Seed.